Something Beats Nothing Every Time » Round 2. Days 9 – 11. Weekends are for working. Buying My Insanity. « Round 2. Day 7 and 8. No Rest For The Wicked. 1. I will work out 5 days a week, skipping only the 2 days that we coach. 2. I will absolutely not eat anything after 7pm. 3. I will stay off wheat completely again. I am also committing to changing the P90X routines so that I can keep myself engaged and I will tell you why. This past Saturday morning I drove to Square One shopping centre and met a nice Indian lady in the Petro Canada parking lot. She gave me a package that will change my world, just as P90X did. For a while now I have been following FitBomb as I am sure many of you have. We were undertaking our first P90X journey at the same time but unlike me, his transition from P90X back into life went much better than mine did. 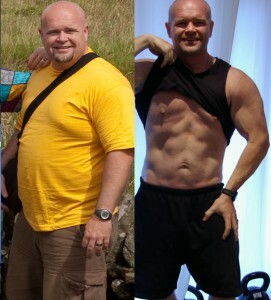 In fact, the epic failure of G90X as I had called it forced me to look to other P90X grads to see what they had done once the dream was over. What I found was that the thirst for at home, gym free, cost free workout methods really catches you by surprise and you start to realize that maybe spending $70 a month on a gym membership is not necessary. Having been enthralled by the relative ease of doing the workout at home, I realized that maybe transitioning back to the gym was not the answer, but in fact that P90X had finally liberated me from that jail. I was finally able to do a workout that challenged me, got me fit and healthy and that I was able to do on my schedule. The logical conclusion was that rather than look back, I should look forward to another challenge. 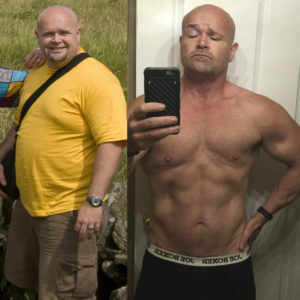 Just as others before me, I decided that the next logical step after Tony was Shaun T. I remember looking at the BeachBody site and thinking that Tony represented the epoch of their system. That if you were fit and wanted to challenge yourself, that P90X was your ticket to the big time. What I had not realized was that Shaun T was busy doing for cardio workouts what Tony had done for weights. Only with more professionalism and less douchy-ness. I then began to make the connection that FitBomb made and realized that a combination of the excellent weight training of Tony and the Insane cardio of Shaun T may in fact be the perfect workout system. I checked Kijiji and 2 days later was handing over $60 to a nice Indian lady at a gas station on a cold morning in Mississauga. Rather than try Shaun T at this time, I realized that I would have to be at least 20lbs lighter if I was going to try some of the stuff I had read about. However, the lure of the shiny box was too much and halfway through Kenpo (which I now no longer find fun, but rather boring) decided that I would put the Plyometric Insanity disc in and see what the big deal was. Ten minutes later my heart rate was at around 160 bpm and I thought my heart was going to explode. Shaun T’s warmup had reduced me to a quivering mess and as I lay on the floor soaking in my humility I realized that indeed I was looking at the future. You see, the problem with P90X as I see it is the cardio workouts. They are not terrifically difficult and you will probably find that even if you like one of them, you will probably not find the others to your liking. So you will need to replace at least 2 days a week, if not 3 with something else. For myself, I don’t mind the Plyo but the Kenpo and the Yoga are not my cup of tea. I would rather do the yoga (albeit a stripped down version) on rest day and replace it with a cardio workout that pushes me during the workout schedule. So my plan, once I am past phase 1, is to replace Kenpo and Yoga with Shaun T. I haven’t found out which workouts to put in their place but with 13 DVDs I am sure I will find something. Finally, I am scared to work out again… and I like it. This entry was posted on Tuesday, February 16th, 2010 at 9:10 AM	and is filed under DVD Days P90X to Tapout XT. You can follow any responses to this entry through the RSS 2.0 feed. You can leave a response, or trackback from your own site. A lot of people have been making P90X/Insanity hybrid workouts. We are going to do the same once we finish our 60 days with Shaun T. I agree with you on the Kenpo, my least favorite and I think an Insanity workout would fit nicely there. Your blog is entertaining. I like writing that tells it like it is – plain and simple. I haven’t tried any of the P90X+ routines, but I hear those are a good option once you have completed P90X. I subscribed to the Tony Horton One on One workouts. They are Tony intense (yes, he is still goofy) but each workout is only 30-40 minutes in length. Last month’s title was One on One on One Leg. That’s a step above the leg workout in P90X. Chalene Johnson has a good strength training/cardio combo called ChaLean Extreme. As a woman, I actually like it better than P90X. As for Insanity – too much cardio for me. I hope the hybrid mix of Insanity and P90X works for you. I see a lot of people combining the two programs. Keep up the good work! Thanks for the comment. I have read the same about the P90X+ workouts however I am just not sure that I can tolerate much more of Tony. It’s a pity really because the guy is in phenomenal shape but I think the harder you are willing and able to work, the further you leave him behind. It’s not a bad thing that he appeals to the mass audience, in fact, none of us P90X grads would be where we are without him! Hopefully you will keep everyone posted on what kind of hybrid you come up with!